January’s meeting was very special. 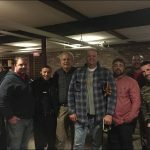 This was a beginning conversation between Landlords, Police & local elected officials with the goal to improve the city and figure out ways to help us to control our properties, help the Police and help ourselves. Attorney John Walsh (to the right of State Reo Bob Koczera) was speaking about the rights (or lack thereof) of Landlords in evicting problem tenants. Rep Chris Markey, Capt. 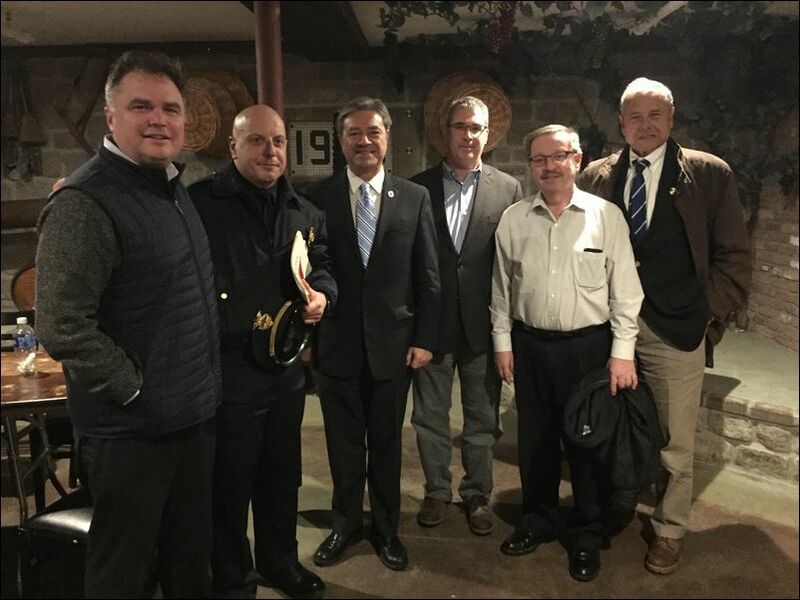 Al Sousa , Rep Tony Cabral, Rep Paul Schmid, Rep Bob Koczera and Attorney John Walsh. 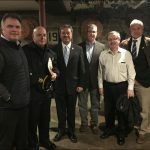 Board Members Chris Sheldon, Police Chief Joe Cordeiro, Treasurer Andy Barroll, President Bill Scofield, Board Member Ron Oliviera, Board Member Mason Almeida and GNBLA member David Silveira. NEW BEDFORD — As city leaders consider tightening the problem properties ordinances, two of the Police Department’s top brass and some 20 landlords met to build a better relationship. “Our goal is to help you, not to punish you, but we want to take our neighborhoods back,” said Detective Capt. Adelino Sousa, commander of the NBPD’s Major Crimes Division and also a landlord. 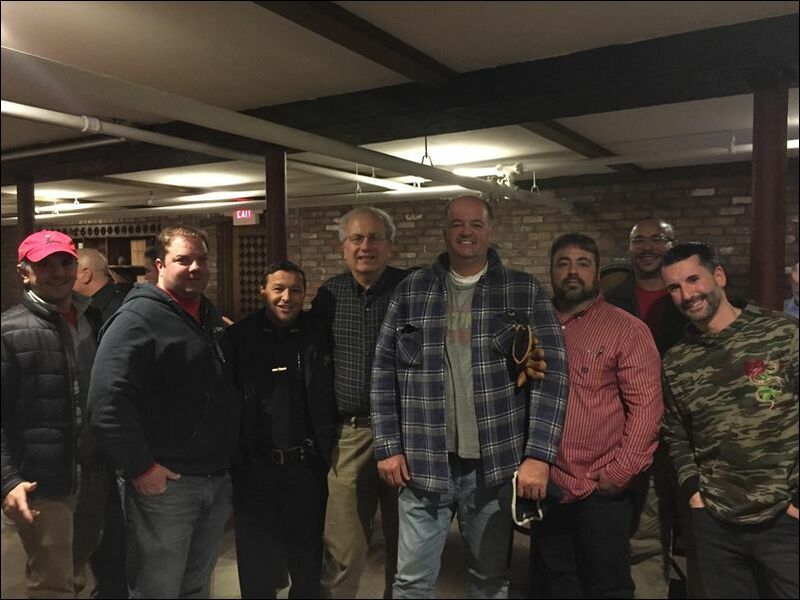 Police Chief Joseph C. Cordeiro and Sousa met for nearly two hours Thursday night with members of the Greater New Bedford Landlords’ Association at the Cotali-Mar Restaurante in the near North End. A few miles away at City Hall, the City Council was considering tough changes to the problem property ordinance. The City Council sent three new measures regarding problem properties to its Ordinances Committee: cut the number the valid complaints from eight to four before the building is considered a problem property; post the owner’s contact information in a common area; and reduce the number of days an owner has to clean a property from 14 days to five. Landlords listened intently to the police, but based on their questions their thoughts were clearly on their properties, their investments. Gloria Teixeira, who along with her son, Carlos Teixeira, owns about 100 apartments in the North End and a few in the West End, told The Standard-Times before the meeting that she is against the changes to the problem property ordinance. “Taxes always going up and people not paying rent, so that’s not good,” she said. Cordeiro said the ordinance “does work,” adding he noticed “significant change” with the condition of properties when letters were sent out last year to landlords nearing the limit of eight complaints. Once a landlord hits the limit, they are considered “a problem property” and are assessed the cost of the police call. The chief said the city is investing $240,000 worth of surveillance camera equipment in the near North End and the Police Department plans to saturate the area with multiple police units — the gang unit, the drug unit, community police officers. “We’re going to send a message and gain stability,” he said. Sousa said police have problems with “a small percentage” of the landlords — maybe 4 or 5 — whose tenants conduct drug-dealing, prostitution and gang activities on their properties. “There is no compliance whatsoever. It’s the minority,” he said. The chief suggested screening of prospective tenants and checking with other landlords to avoid renting to a problem tenant as well as investing in surveillance cameras. “Screening is a big deal, and you have the ability to help each other out,” he told the landlords. Police are having problems with landlords who evict a problem tenant from one property and allow them to rent an apartment in another of their properties, the chief said. Cordeiro also urged landlords to give information to police anonymously when they observe criminal activity. They can call the Police Department’s anonymous tip line or email information through the department’s website or Facebook page. A landlord asked if the police would also share information about tenants and the chief said they cannot legally provide that information. Cordeiro said his officers are testifying in Housing Court in eviction proceedings. Landlords also were advised researching prospective tenants’ history at the Housing Court and checking with their previous landlords before renting.